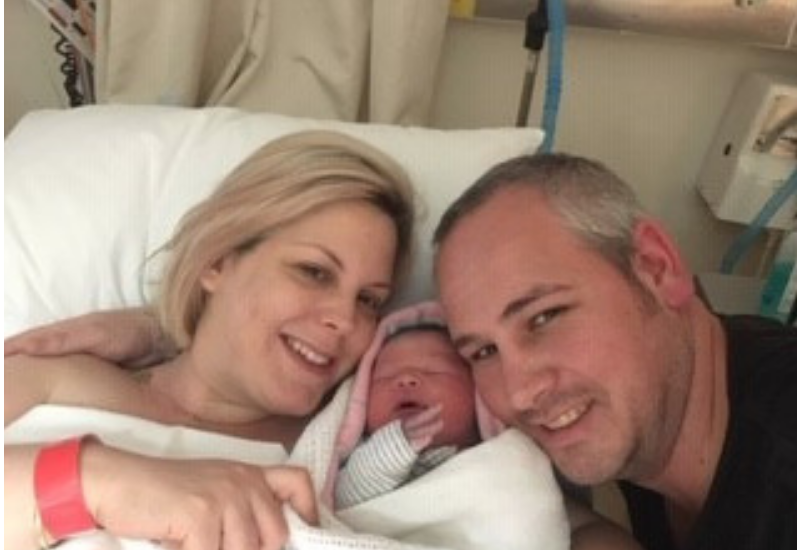 After declining many opportunities for induction and waiting patiently for birth to begin spontaneously, baby Angus was born 8 days past Penny’s due date rather swiftly but calmly. My body took over and Angus started coming out without any deliberate effort, nor interventions, or pain relief. The only input from my midwife and OB was telling me to slow down – if I could – in order to reduce tearing. I was convinced through the later part of my pregnancy that I was going to go into labour early so at 8 days overdue I was getting pretty impatient! I really wanted a natural labour and birth so held I off on an induction as long as I could. The day before I had agreed for it to be scheduled (9 days past my due date), I woke up with period like pain that I noticed was coming in waves, so I quietly started timing them. By 9am they were regularly coming between 6 and 10 minutes apart and I felt confident enough to tell my husband… it was happening!! We organised my toddler to be picked up at 10.30 and I settled in, bouncing on the fitball and watching the final series of Breaking Bad. Once we got there and they checked bubs (who was great), I jumped in the shower and awaited my OB who wanted to check on me too before I headed back home. I let the water wash over me in the shower and enjoyed the warmth in my back. As I relaxed even further into the surges they started to get closer together and more intense, however they were still somewhat irregular. 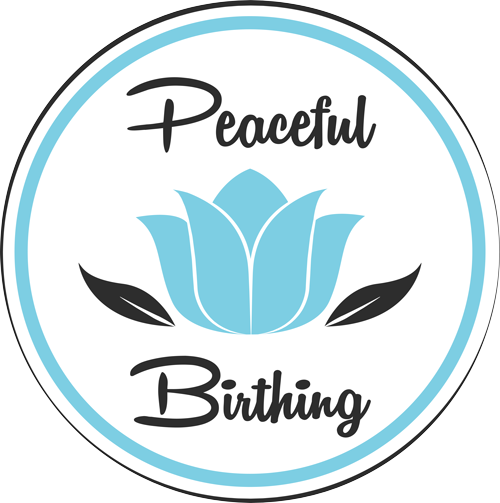 My wonderful midwife Jill suggested they should break my waters as she believed that sometimes the baby can be in a slightly skewed position and breaking the waters could straighten him up and allow him to fly out! Whilst I wanted minimal intervention, this was a welcomed scenario and I decided to consider it. When my OB Ravi arrived and checked me he said I was approximately 2cms dilated and he also suggested they break my waters – so I trusted my team and agreed. When they did, only a small trickle came out which indicated they had already broken and most had slowly leaked out and I had not even noticed. Ravi then left and said he’d go home for dinner and come back in a few hours (this was just after 5pm) to enable me to progress naturally. After he left I decided to change positions and lean over on my hands and knees on the ground (naked!). I very quickly felt the contractions intensify to a degree that overwhelmed me. I begged my husband to find our midwife as I was feeling out of control and like I needed help. When she got there I begged for drugs (“all the drugs” were my exact words!) By this stage I was grunting due to the pressure in my bottom and told Jill I was going to poo on the ground and I couldn’t hold it in. Jill had rang Ravi, to get agreement that I could have an epidural, but once he heard me through the phone he said he knew I was in transition and starting to push! Sure enough Jill’s theory as right and as soon as my waters were broken I went from 2cms to 10cms within 15 minutes – Ravi was still in his car on the way home! He turned around and came straight in wearing his gown and ready to go. Due to the fact I had progressed so quickly, Ravi and Jill got me up on the bed to ensure all was ok and my body really was ready, and sure enough, immediately confirmed bubs was coming!! My body took over and Angus started coming out without any deliberate effort, nor interventions, or pain relief. The only input from my midwife and OB was telling me to slow down – if I could – in order to reduce tearing (easier said than done). The additional nurse that comes to assist during delivery had nothing to do as it was all happening so naturally – so she took lots of photos instead which we will cherish forever. Within a few surges, Angus Steven Bailey was born naturally at 5.47pm. There was no feeling of “pushing” and although I had some tearing, I felt nothing but my body taking over as I watched Angus coming into the world. I am so proud and happy to have experienced such a beautiful birth after quite a challenging one with my first child. I am so lucky to now have 2 gorgeous boys, and am so in love that I feel like my heart could burst! Angus Steve Bailey was born Friday 27th July 5.47pm weighing 9lb 8oz.